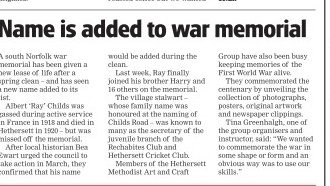 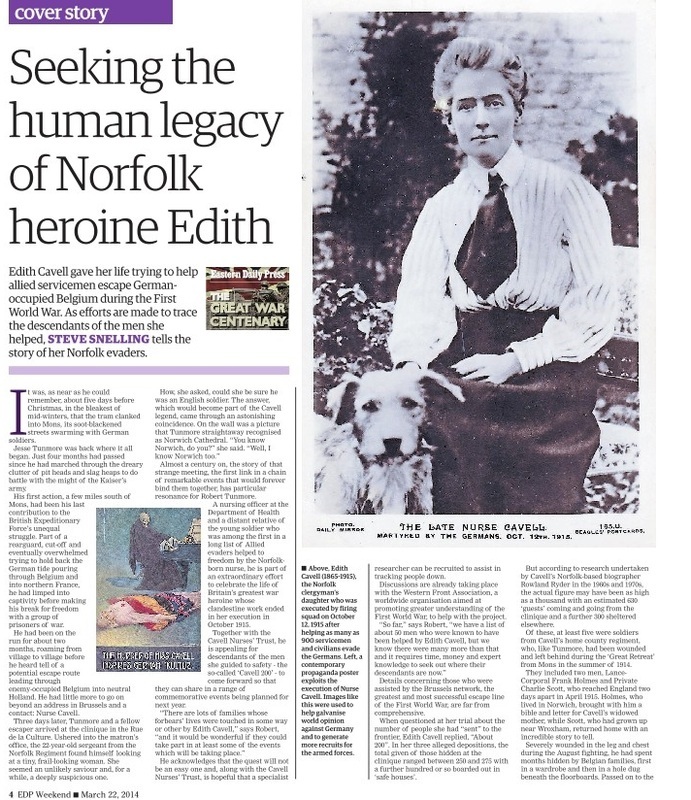 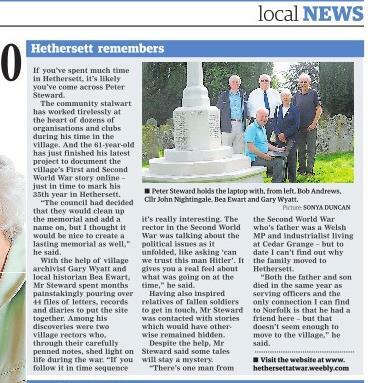 The above article was printed in the Eastern Daily Press Newspaper on March 13rd, 2014 and featured Norfolk heroine Edith Cavell who played a major part in Hethersett man Billy Mapes returning safely home. 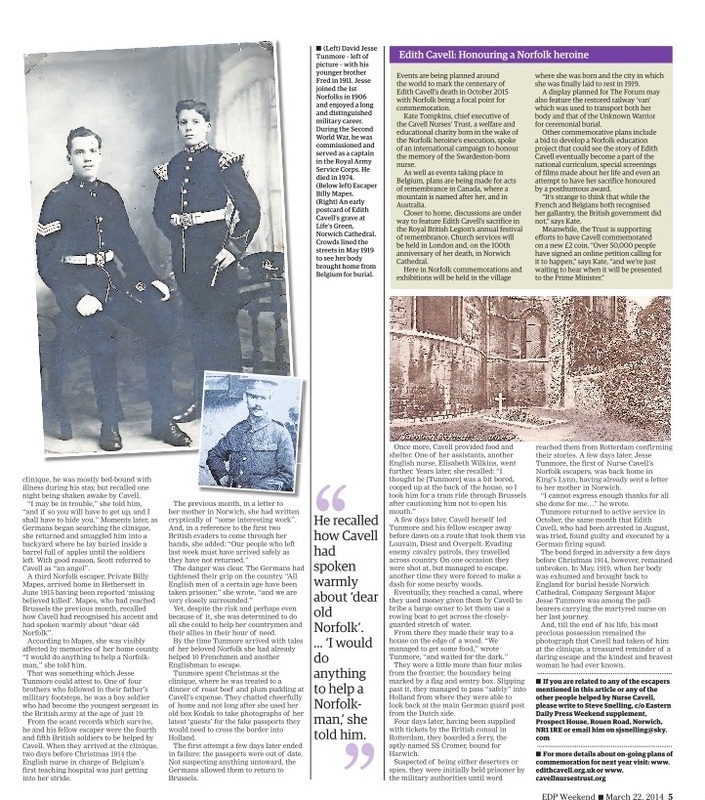 The article quotes and features Private Mapes. 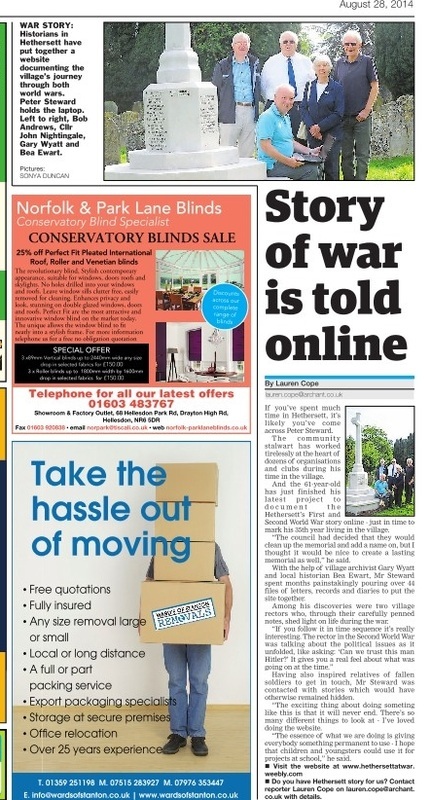 Below are cuttings from the Wymondham Mercury and Norwich Evening News newspaper that appeared in June, July and August, 2014. 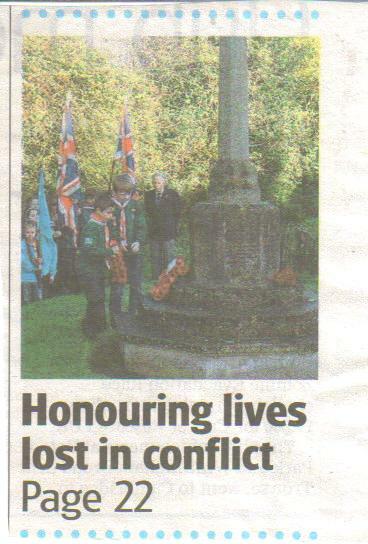 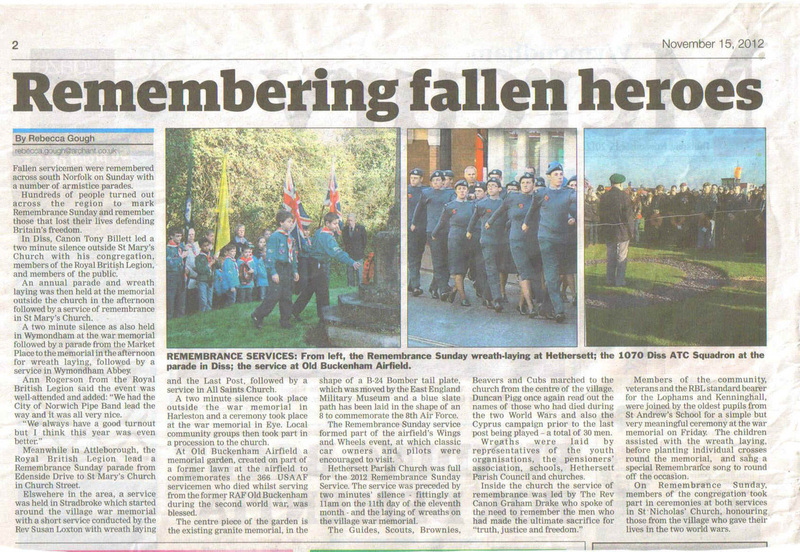 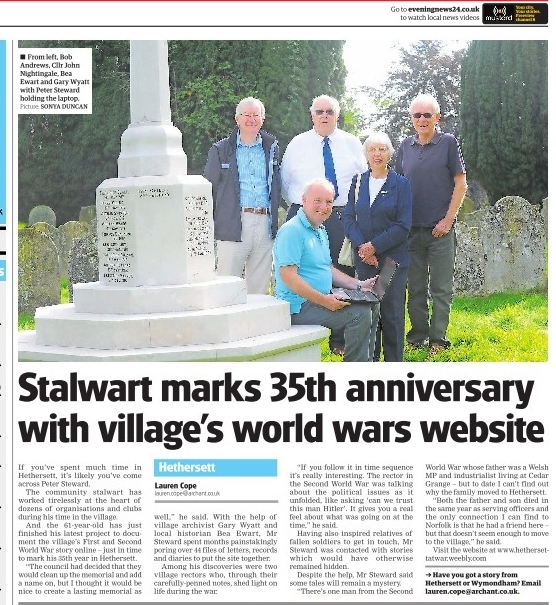 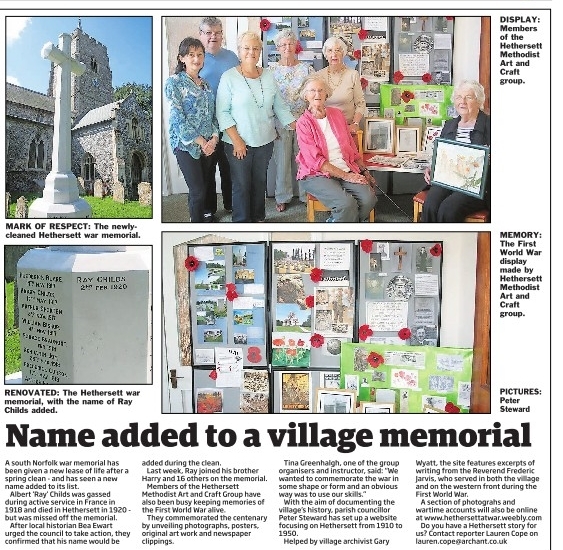 Below are some of the Media cuttings covering the village's annual Remembrance Service. 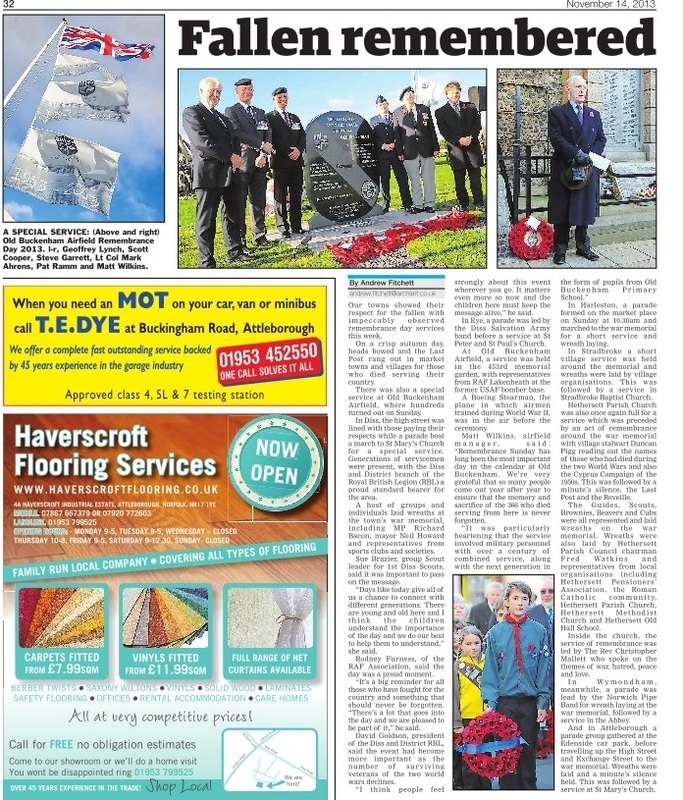 Click on them to enlarge.